Le Cordon Bleu established a presence in Australia in 1992 when it signed a tripartite agreement with the International College of Hotel Management and TAFE SA to deliver the International Diploma of Hotel Management. From these beginnings, Le Cordon Bleu Australia grew to include campuses in Sydney and Melbourne. Today Le Cordon Bleu Australia is registered to deliver a broad range of vocational and higher education programmes in its own right and partnering with other highly respected, credible and quality tertiary institutions, which has from the beginning been a central component of the Le Cordon Bleu business model - a model that continues to drive business expansion today. The TAFE NSW Northern Sydney Institute, Ryde College is the venue for the Le Cordon Bleu Sydney Culinary Institute. Located in the leafy suburb of North Ryde, 17 kms north of the Sydney CBD, our specialist tourism and hospitality facility is one of the largest in the Asia-Pacific region. The Institute has proudly been offering Le Cordon Bleu programmes since 1996. See below for a list of amenities near our campus. In July 2015, the Holmesglen Moorabbin Campus became the venue for the Le Cordon Bleu Melbourne Institute of Culinary Arts. It is located in the heart of the bayside region of Melbourne approximately 30 minutes from the Melbourne CBD by train. 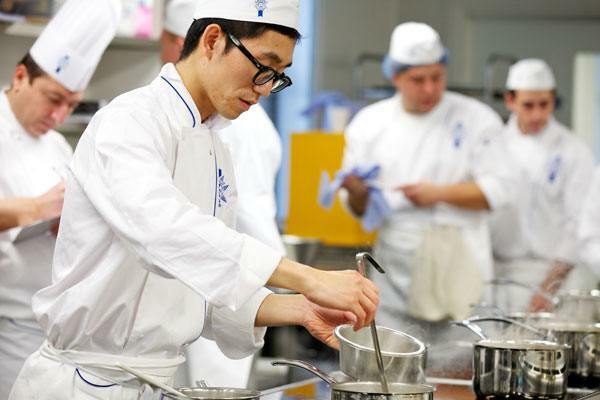 Le Cordon Bleu study programs are conducted in brand new kitchen, bakery and restaurant facilities created as part of a $25 million refurbishment of the campus. See below for a list of amenities near our campus. The TAFE SA Regency International Centre for Tourism, Hospitality and Food Studies is the venue for our Le Cordon Bleu Adelaide Campus. Located in Regency Park, approximately 9 kms north of the Adelaide CBD, the internationally renowned centre features state-of-the-art training facilities and has a proud, award winning 38 year history. See below for a list of amenities near our campus. In a competition voted for by peers across the industry, Vicky has been named Veuve Clicquot Asia’s Best Female Chef. Originally graduated from New York University to become a graphic designer, she couldn’t deny her passion for cuisine though, and decided to undertake a Grand Diplôme at Le Cordon Bleu. Following her studies, she worked at the Michelin-starred Cépage in Hong Kong before opening her own restaurant, Tate Dining Room, in 2012. 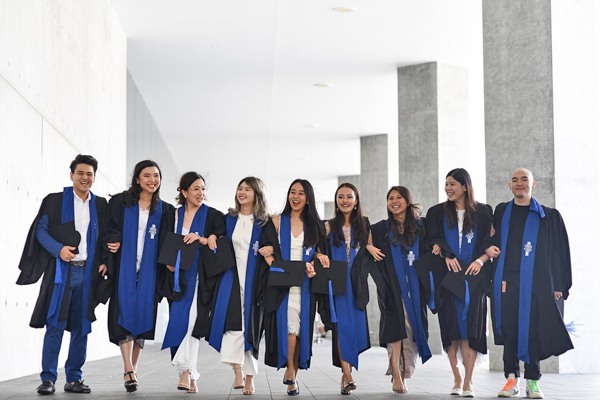 Eileen Low graduated in 2012 with a Le Cordon Bleu Master of International Hospitality Management following a Marketing degree at an Australian University. She now works for Pernod Ricard Winemakers, as Brand Experience Manager for St Hugo. Le Cordon Bleu Australia Open Day!